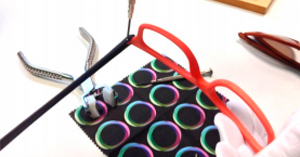 Barcelona (18th of January 2016).The Consortium of European project Optician2020 has begun activities to demonstrate the sustainability of a new model for the creation of personalized spectacles adapted to the morphology of each user, by means of 3D printing technologies and local manufacturing. The Optician2020 project “combines advanced manufacturing technologies with a network of mini production centres, personalized design, knowledge engineering, sustainable production technology, anthropometry and ergonomics to demonstrate that the manufacture of personalized spectacles can be a local, profitable business while remain sustainable and in line with the latest fashion,” explains Guasch. Additionally, Optician2020 has proven that the manufacturing of personalized products with 3D printing is more ecological than conventional manufacturing methods, given that carbon print reduction (kilos of CO2 equivalent emissions per gram) ranges between 15 to 70 percent less on average, depending on the models and materials, compared to standard processes. In order to validate the new paradigm proposed, the Consortium partners began in the past November the demonstration phase, in which they are producing personalized spectacles for more than 200 people, including real users. This comprises a procedure that will enable the evaluation of user satisfaction and of all those involved in production, and the calculation of reductions in delivery time, production costs and environmental impact. It is estimated that this will be completed by June 2016. In this regard, “personalization strategies allow manufacturers and dealers to offerunique products, adapted to the needs and wishes of a specific person,” such as is the case of eyewear, which is a fashionable product that combines prescription requirements with functional and aesthetic needs,” predicts the project coordinator. Co-financed by the European Commission under the “Factories of the Future, Public Private Partnership” initiative as part of the 7th Framework Programme, Optician2020 (Flexible and on-demand manufacturing of customized spectacles by close-to-optician production clusters) has 10 members from 6 European countries. The project balances active participation from large companies such as Indo Optical, Satisloh Photonics and Melotte NV; small and medium sizes companies like Knowledge Integration; Optica Pita; Alcom Optika; Lens World and 3TRPD Limited, together with research and technology centres such as the Valencia Institute of Biomechanics Research and Eurecat. 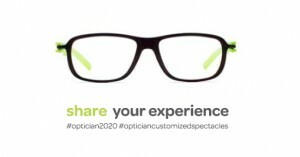 Enjoy the Optician2020’s dissemination video! 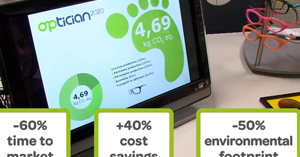 The Optician2020’s consortium has just released a dissemination video, focused on how the project aims to demonstrate the sustainability of a new business model for personalized eyewear, delivered through a proximity production network, which would work like local mini-factories. The Optician2020’s first video shows that the consortium is developing new tools and procedures for personalized design and a new personalized manufacturing technologies. Furthermore, new ICT platforms tools are being developed for managing the manufacture of personalized spectacles and delivery through a network of available production sites, in accordance with the criteria regarding delivery time, costs, proximity and environmental impact. Optician is highly focused on demonstration. Demonstration activities are being carried out to test and validate the robustness and flexibility of the network of mini-factories and the quality of the manufactured spectacles. By the end of the project, more than 200 EU citizens will have experienced the benefit of eyewear personalization. Watch the video in our new Vimeo channel!